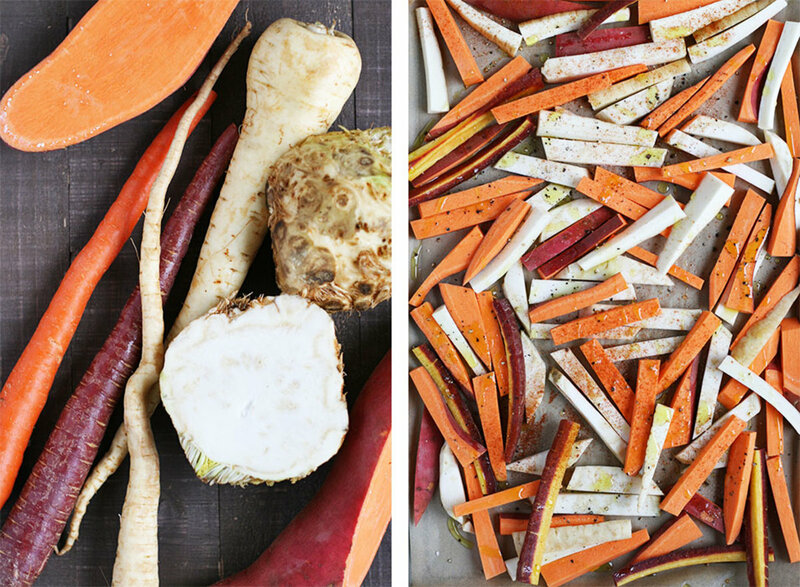 Root veggies standout in soups, salads, purees, roasted, grilled, slow cooked, and every other which way. 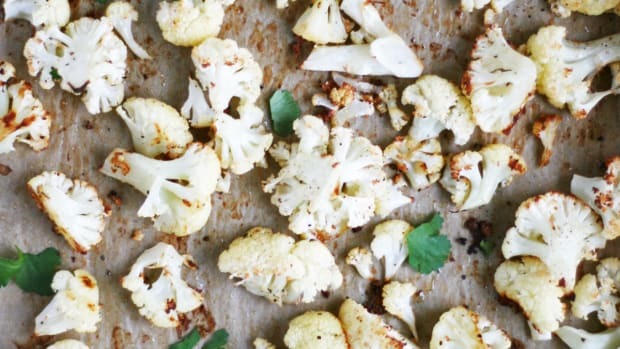 One of the easiest (and tastiest!) 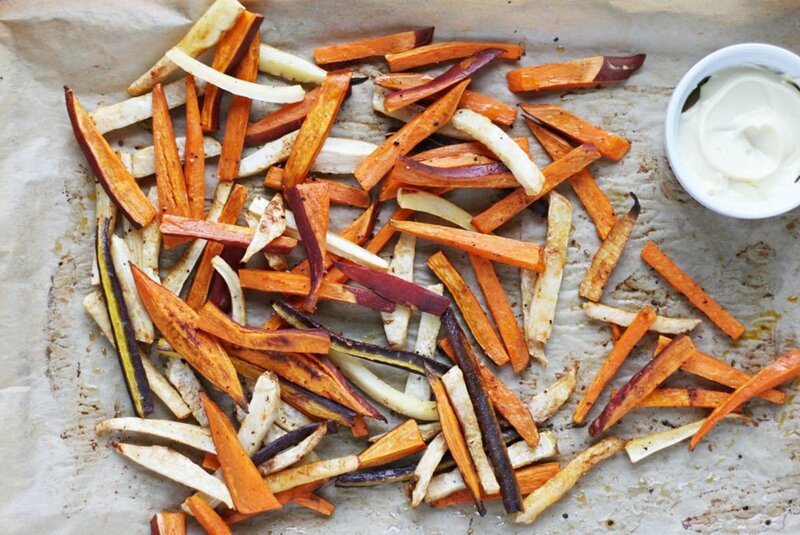 ways to use these tuber stars is in root vegetable fries for a healthier and sweeter take on the classic side. Root vegetables can be quite intimidating with their various shapes and textured skins. Don’t judge these hearty vegetables by their appearance; let their flavors stand out. Parsnips, sweet potatoes, yams, beets, rutabaga, turnips, carrots, yucca, kohlrabi, fennel, celeriac, horseradish, Jerusalem artichoke, radishes, ginger, turmeric, garlic, onions, and daikon are all considered root vegetables. 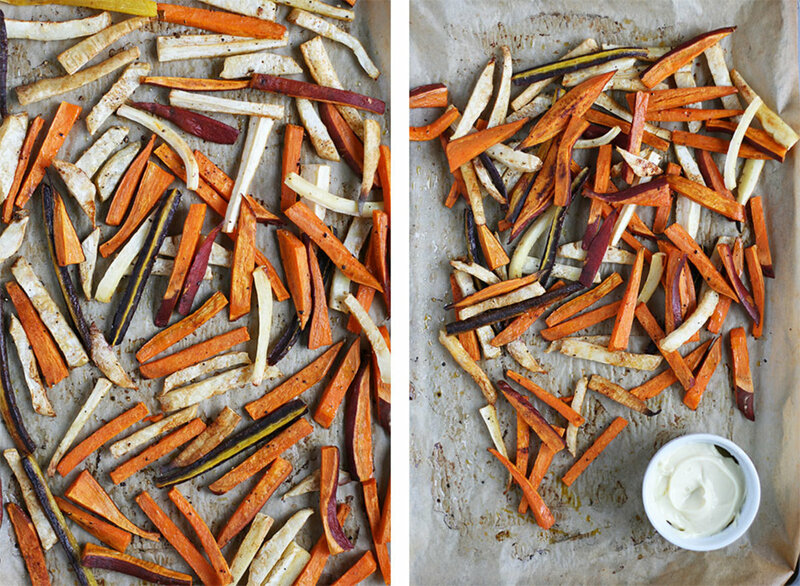 When it comes to making root vegetable fries, we suggest using rooty staples like sweet potato or yams, parsnips, carrots, and celeriac. These offer the best texture and taste when baked, plus are super easy to find in season right now. With their shapely and oftentimes extraterrestrial appearance, root vegetables are filled with plentiful health benefits and are incredibly delicious when prepared properly. Because they grow underground, root vegetables absorb a lot of quality nutrients from the soil that surrounds them. This is another reason to choose organic root vegetables when possible, as they have been grown in the richest soil without the use of pesticides. Starchy root vegetables are filled with complex carbohydrates that help to balance blood sugar levels and prevent hangry outbreaks. These carbohydrates take longer to digest in the body, as opposed to quick sugar-spiking simple carbs (ahem, donuts). Due to their slow and steady digestion, complex carbohydrates aid in keeping you feeling full and energized longer. 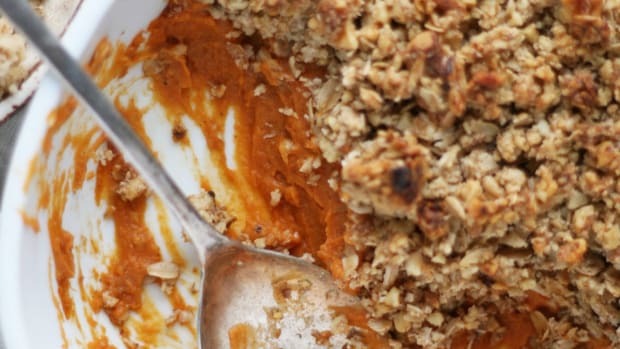 When it comes to carbohydrates, don’t fear them! 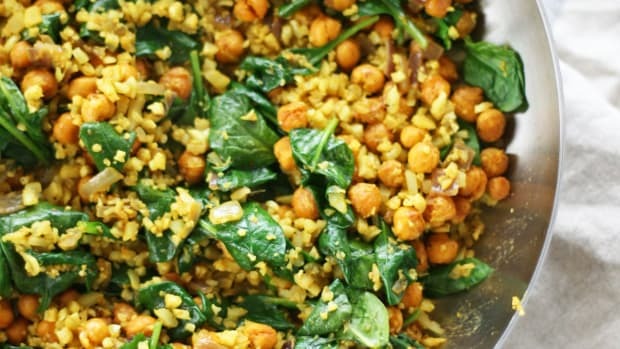 Instead, chose whole varieties of complex carbs like root vegetables, beans, and legumes. 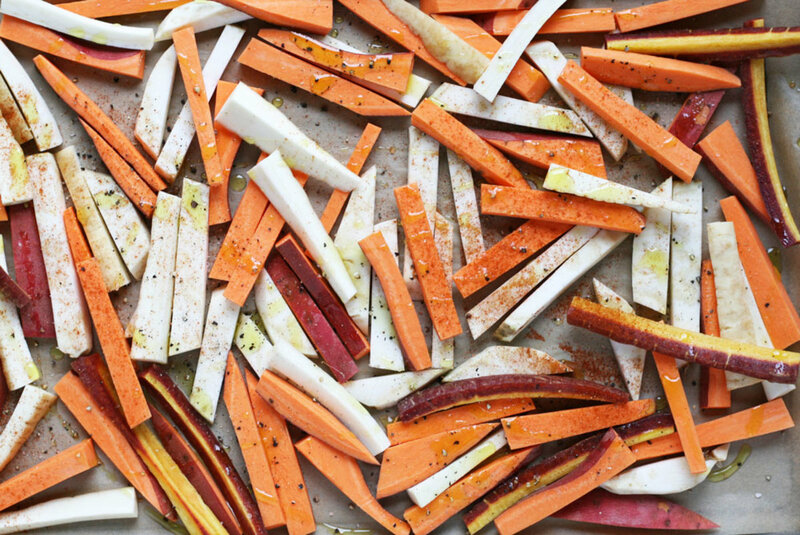 Along with being a supreme source fiber, root vegetables are packed with essential nutrients. 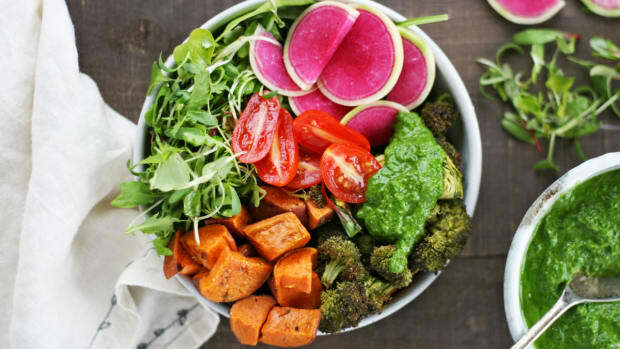 Root vegetables are some of the best sources of carotenoid antioxidants and vitamins A and C.
These vitamins are essential in fighting free radical damage, keeping the immune system sharp, and lowering inflammation. 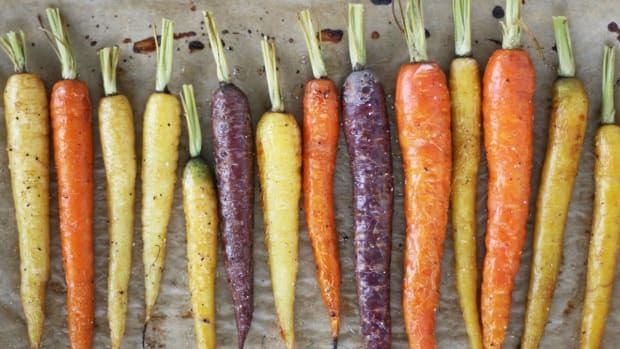 In fact, diets rich in carotenoid antioxidants have been associated with lower risk of stomach, kidney, and breast cancers. 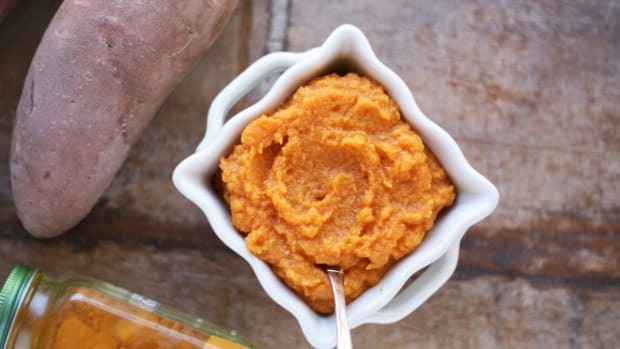 Several studies have shown that some root vegetables, like sweet potatoes, offer bioavailable sources of beta-carotene, which is easily converted into vitamin A in the body. Vitamin A is necessary for healthy eye function, and a deficiency can cause both temporary and permanent damage to the eyes and even lead to blindness. It can also suppress immune function and increase mortality, especially among children and pregnant and lactating women. In general, most varieties of root vegetables are also good sources of manganese, potassium, folate, copper, and B vitamins. Root vegetables are most delicious and easily found at their peak season from fall to spring, although many can commonly be found year round. Choose hard and firm root vegetables without bruises or deep gashes. If selecting root vegetables with stems and leaves (like a bunch of beets) choose brightly colored greens that appear crisp and fresh. Root vegetables are easily stored (no root cellar needed) in a dark, cool place for many weeks, depending on the variety. 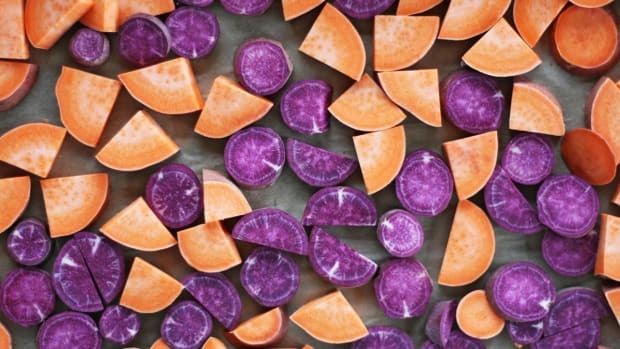 In the refrigerator, store root vegetables in a plastic or paper bag in the crisper to keep firm. Preheat oven to 425 degrees Fahrenheit and line a large baking tray with parchment paper. Wash and scrub all vegetables. 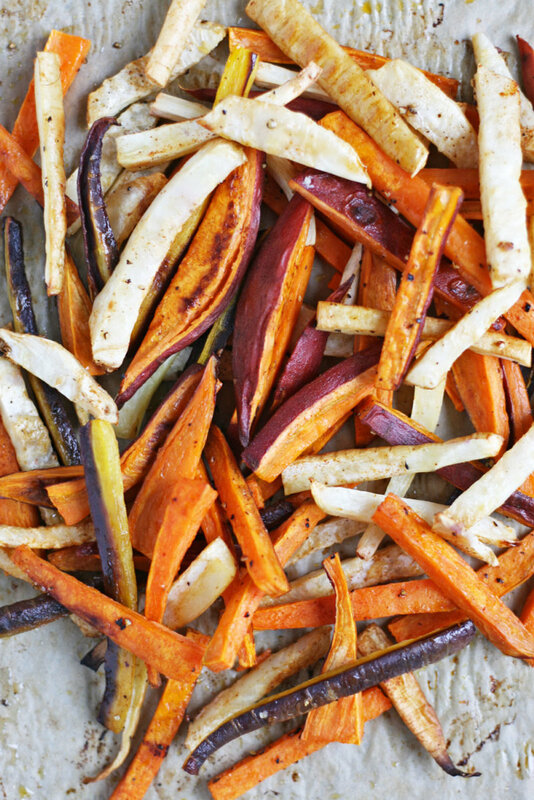 Carefully slice each root vegetable into thin, evenly sized fries. Add all vegetables to lined baking tray and drizzle with avocado oil. Sprinkle liberally with sea salt, fresh ground black pepper, and paprika and toss to combine. Bake fries for 20 minutes, remove from oven and give everything a good stir. 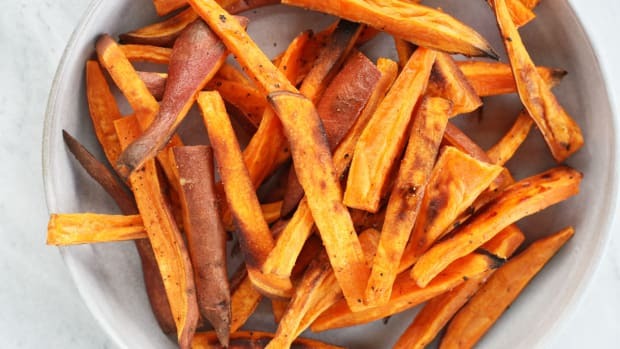 Bake for an additional 10-15 minutes, or until root vegetable fries are crisp and slightly browned. Remove from oven and serve! These fries are delicious dipped into organic ketchup, avocado mayo, or a spicy aioli sauce. Enjoy!